Sound Tribe Sector 9 has announced a massive lineup for their annual Wave Spell Live Festival at the picture-esque Belden Town Resort in Belden, California. The fully immersive Music and Arts festival curated by STS9 is set to feature over twenty artists, art installations, crystal galleries, and live painting throughout the weekend. The event has been tastefully curated and tailored to fit the progressive vibes of the STS9 community. The Tribe family will be nestled into the breathtaking Belden Town Resort for August 15 - 18 as a fully immersive and intimate event. The lineup of artists and musical acts for the weekend has been curated with the STS9 community specifically in mind as it embraces diversity and forward-thinking artists that are bringing their genres to the next level. Beyond the nine sets from STS9, the lineup includes a sunrise set from Random Rab, DIRTYBIRD’S Christian Martin, live electronica band The New Deal, emerging EDM artist Maddy O’Neal and many other artists from a variety of genres. The festivals lineup boasts an eclectic diversity that is reflective of the audience in attendance. The venue is tucked away in a forested area with a beach stage that is swim-friendly for attendees throughout the day. Attendees also have the pleasure of dancing through the night until the sun rises as the area does not have any noise ordinances or curfews, music will be scheduled until 5A.M. Between the music, attendees are immersed in four full days of camping, swimming, art, workshops and yoga. 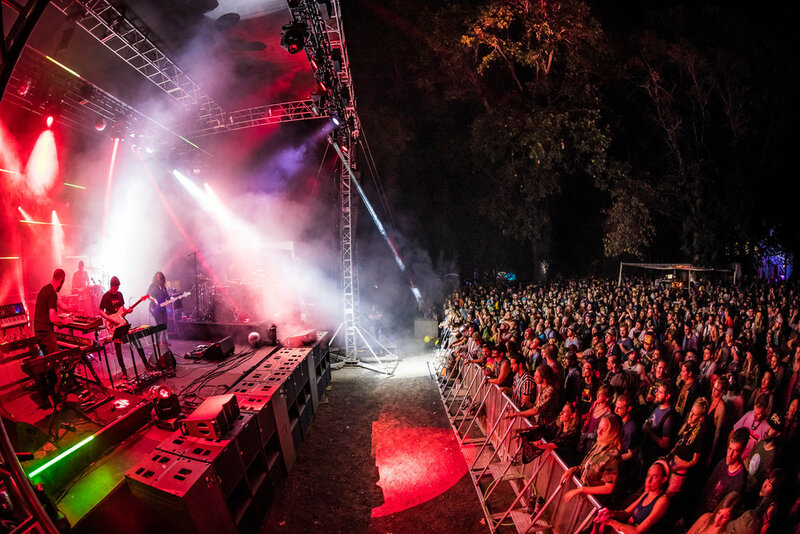 The Belden Town Resort in Belden, California boasts intimate forested stages and a swim-friendly beach stage, making it one of the nation’s most picture-esque music festival venues. As attendees have access to Feather River and Belden Town’s beach, this festival’s venue is a get away like none other. 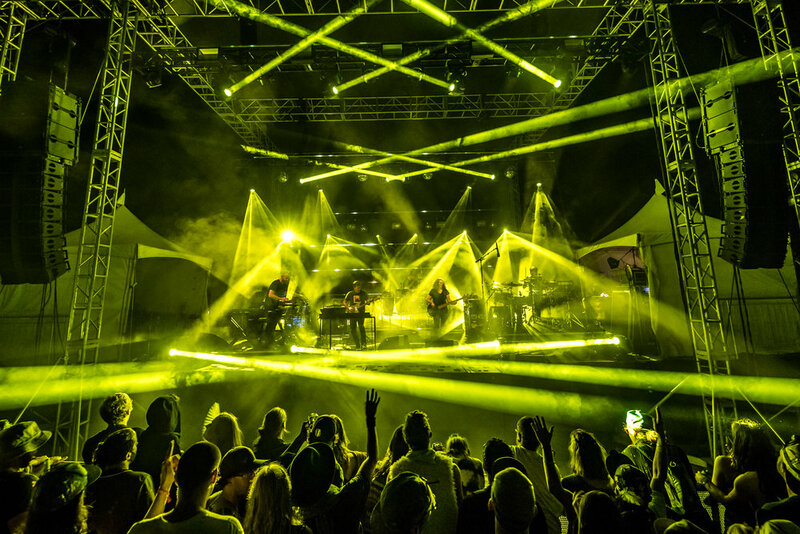 By fusing together the relaxation of a resort and the good vibes of music festival, STS9 and other curators of the festival have crafted a festival community that cannot be put into words - it can only be experienced. Tickets for STS9’s Wave Spell Live are on sale and moving fast, so if you are interested grab your tickets NOW! General Admission tickets are available at Tier 2 for $389, or $409 if you would like to utilize the payment plans. VIP Experience Tickets are available starting at $649 and they include admission to the festival, access to VIP lounges, daily Happy Hours with exclusive VIP sets, exclusive VIP merchandise, and priority boarding for buses. Curators brought in Mammoth Music Group to help amp up the VIP Festival experience for the 2019 festival, so all VIP attendees should prepare to have a breathtaking andrelaxing VIP experience. Payment plans are also available for VIP tickets which will spread $669 across three separate payments. Camping bundles are also available at $209 and included all gear needed for two people to live in comfort for the weekend. Camping bundles include a tent for two, a lantern, flashlights, pillows, sleeping bags, and air mattresses. Be sure to grab a camping bundle as you plan your weekend get away to Wave Spell to insure maximum convenience. Be sure to follow Wave Spell on Twitter, Instagram, & Facebook to stay up to date as attendees dive into a fully immersive experience filled with good vibes this fall.